Hi lovelies! 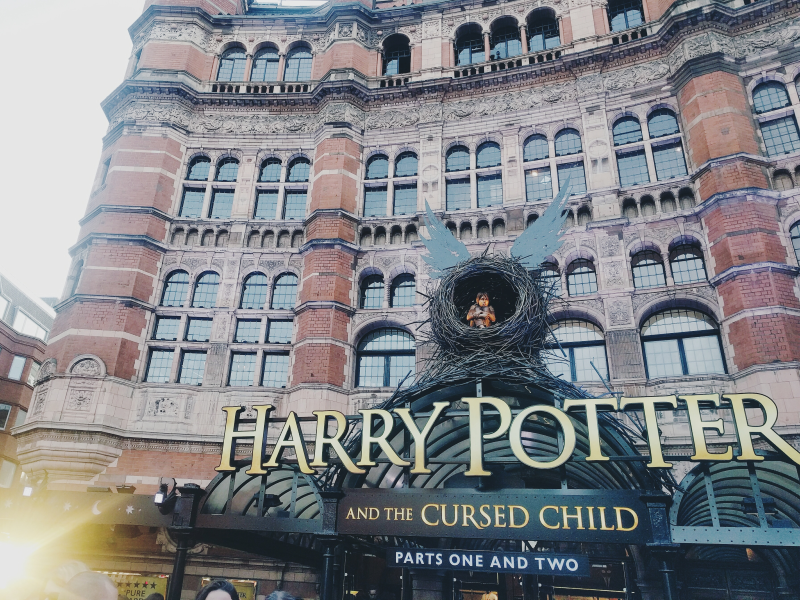 On Sunday my sister and I headed off to London kitted out in Gryffindor (Emma) and Newt Scamander (me) scarves to see Parts One and Two of Harry Potter and the Cursed Child at the Palace Theatre! We've been waiting over a year to see this show (Emma kindly queued online for over seven hours on release day to get tickets for us as a Christmas present!) and I can't believe it's finally been and gone! 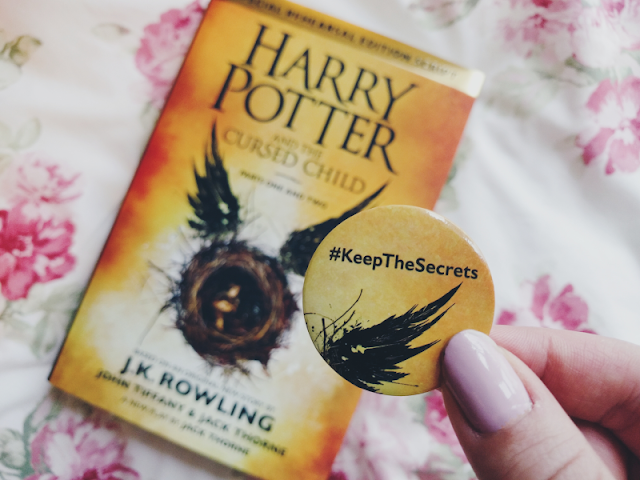 I'm not sure if I've really mentioned on here before but I'm a massive Harry Potter fan so this was the loveliest of surprises. Just before I begin I should just mention that while I've titled this a review, it's more of my rambling thoughts on the play rather than a proper review! Before we went both of us had successfully managed to dodge any spoilers so we went in completely unaware of the story, other than it was set 19 years after the Deathly Hallows and based around the children of Harry and co. Because of this I had no idea what to expect but I can honestly say that I was blown away by this show! The casting, the stage props, the effects... it was just so amazing. Emma and I were constantly turning to each other with "how the hell did they manage to do that?!" expressions on our faces - some of the effects seemed like actual magic! And the music... Oh. My. Gosh. I later found out that the soundtrack was composed by Imogen Heap and it is just so stunningly beautiful. It's a lot softer than the music from the films but still equally magical and dramatic when it needed to be. I *need* the album right now! While I did love the play as a whole, I have to admit though that I wasn't overly keen on the actual storyline and I can understand now how those who have read the book first without seeing the stunning visuals from the play were disappointed with it. It didn't have that usual Harry Potter feeling for me and honestly I'm still a little confused as to who the Cursed Child actually is?! 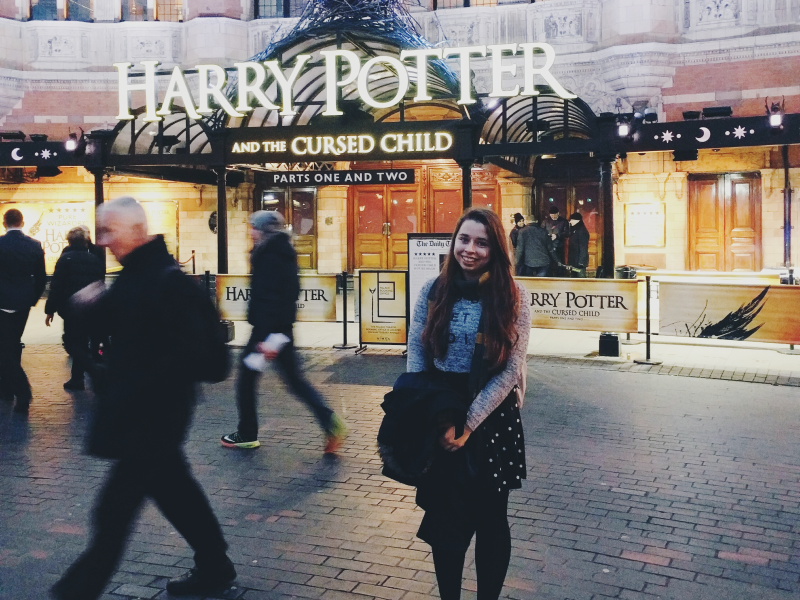 However, while it'll never be my favourite Harry Potter story, I'm still really grateful for its existence. If I could have wished for J.K. Rowling to write any story based in the HP world it would have been to catch up with Harry as an adult and that is exactly what we've been given. One thing I did love about this new story however is that it makes you realise just how important the events that happened in the original story were so I'm excited to re-visit the original seven books now I know what happens in the eighth story. Overall I am so unbelievably grateful to my sister for securing these tickets for us! I feel so lucky to have been able to see this fantastic play with the original cast. It's definitely a must-see for every Harry Potter fan and I think even those who disliked the book would still enjoy seeing the show as the visuals and performances are just so incredible. Have you seen the show or read the book? Let me know what you thought of them, I'm dying to talk about it haha!